I discovered Chris Potter through Pat Metheny’s Unity Band album. I even had the privilege of meeting Potter when the Unity Band played at Minneapolis’ Dakota jazz club a few years ago. Potter is a great instrumentalist (he plays tenor sax, soprano and bass clarinet on this album), but he is also an inspired composer. I am not familiar with Potter, outside the context of Metheny’s bands, so I don’t know how this album compares to the rest of his catalog. If this album is representative – I have been missing out. This is a great album and it will be on my 2015 best of list for sure. 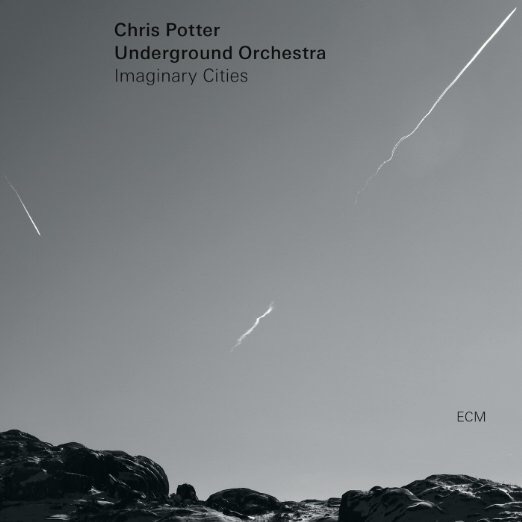 The basic concept is for Potter to take his regular working band (Underground, an electric “groove”-based ensemble featuring Craig Taborn on keyboard, Adam Rogers on guitar and Nate Smith on drums) and puts it an acoustic context and augments it. The primary augmentation is a string quartet, but there is also vibraphone and marimba – thus this group is dubbed Underground Orchestra. I assume Potter has been inspired by his boss Metheny, because the album has a strong Metheny vibe: gorgeous melodies, elaborate (yet tasteful arrangements) and when appropriate – shredding! Where Metheny would orchestrate with keyboards, his synth guitar or his Orchestrion, Potter uses players. Potter is a great instrumentalist (tenor and soprano sax, bass clarinet) and great composer (the album is all originals). The album opens with a four section suite that mixes jazz and classical elements, but this is a jazz album. Potter plays gentle melodies and wild solos and it all works. The arrangement are top notch. This album is both easy to listen to and complex filled with deep textures. I look forward to exploring it further. PS – this album is on ECM – a label that has never failed me!